The Botanical Garden of Vilnius University is not only the largest garden in Lithuania (total area is 199 ha) but also the richest one in its plant collections: plants of 11 000 names belonging to 886 genera can be found there, and the best and most impressive collections are those of rhododendrons, lilacs, lianas, peonies, dahlias and bulb flowers. The Botanical Garden is interesting as an object of heritage – a part of an outbuilding of an old estate that has survived in Kairėnai, as well as the old park with ponds, has been adapted to being visited. Various cultural events (concerts, art exhibitions) are held in the Garden. One can ride on horseback or go for a ride in a carriage. By car: go in the direction of Dvarčionys. By public transport: take No. 2, 3, 4 buses from Cathedral Square or No. 14 trolleybus at the Karalius Mindaugas bus stop and go as far as the Nemenčinės plentas bus stop (if you take No. 3, 4 trolleybus, go to the final bus stop, then cross the street and go about some hundreds of metres to Nemenčinės plentas bus stop). Take No.18 or 38 buses and go as far as the Kairėnai bus stop. Botanical Garden of Vytautas Magnus University was founded in 1923 as the centre of botanical sciences that belonged to Lithuanian (later Vytautas Magnus) University. Spacious green area with the old park, picturesque ponds and several buildings of the former estate of Juozapas Godlevskis (Aukstosios Fredos estate) was provided for establishing BG at that time. Professor Konstantin Regel from Tartu University was invited to direct BG. The detailed project for the BG landscape was made in 1924 by architect Karol Rauth from Hanover. With the help of other Botanical gardens, especially Berlin’s Dahlem, Konigsberg and St. Petersburg’s Kaunas Botanical Garden built up very rapidly. The construction of the Greenhouse was finished in 1938. Presently, Botanical Garden of Vytautas Magnus Universitety occupies the area of 62.5 ha close to the city center. BG is multifunctional university botanical garden that consists of two departments: Collection department, Department of Services and Education. Collection department is comprised of four sectors (Medicinal plants, Dendrology, Pomology, Floriculture), Plant systematics and Phytopathology groups. The unique feature of this garden is peacefull and green environment created by an advantageous combination of cultural and natural heritage. Botanical expositions and collections, the Greenhouse, big landscape park with an interesting pond system – this is not only place for plant conservation and research but also area for all modern forms of interactive education, cultural tourism and community use. The Botanical Garden of Klaipeda University is located in the northern part of Klaipėda, in the valley of the Danė River, the territory of the former royal Tauralaukis park closely related to the history of Prussia. Its total area is 9,3 ha. The spectacular landscape, originally formed green spaces, and the unique diversity of the flora delight all those who come there. That is the only place in Western Lithuania where in a small area one can see plants from almost all the continents of the world. Domestic and foreign plants are exhibited in four collections: coniferous woody, deciduous woody, herbaceous ornamental, and herbs and medicinal plants. Visitors are invited to see recently arranged and further fostered expositions of roses, vines (lianas), bulbous plants, and coastal dunes plants. Currently, the above mentioned collections and expositions boast over 3,500 plant species, forms, and varieties. Altogether, the gardėn displays almost 40,000 units of plants. The mission of the Botanical Garden is to effectively increase and preserve plant genetic resources in situ and ex situ, to ensure sustainable development of academic, research, and educational activities in the field of natural sciences, and to create optimal conditions for meeting public recreational needs. The academic staff and students of Klaipėda University conduct scientific research and develop practical skills in the Botanical Garden. The Garden is popular with the general public, and especially pupils. The greater part of the visitors take part in tours (around 50 each year) around the Garden. The number of participants in different educational lectures, events, and specialised seminars has also been increasing. Šiauliai University Botanical Garden (former biological and agro biological station) was started in 1958. 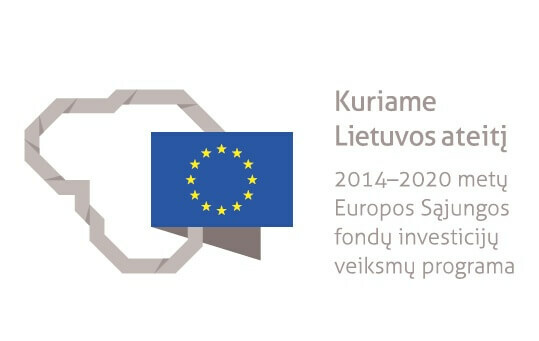 The Executive Committee of Šiauliai city granted 2.5 ha of fertile ground, located near the railroad (an empty, nameless area at the time), for the establishment of biological station. In 1961 the station began recruiting staff and Stasys Gliaudys was appointed as a manager. In 1962 the whole area was landscaped with fruit-trees as well as 2–3 rows of various trees and shrubs, a small alpine flower garden was built and later the division of plant collection was formed. The plants were donated by Vilnius Botanical Garden, The Agricultural Research Institute of Dotnuva and Vilnius greenhouses. In 1997 the university department activity programme in accordance with present botanical garden requirements was prepared by prof. PhD Kęstutis Kazimieras Vilkonis. In September 1st, 1997, at the base of Šiauliai Pedagogical Institute agrobiology station, the Šiauliai University Botanical Garden was founded under the guidance of doc. K. K. Vilkonis. Currently, the total area of Šiauliai Botanical Garden is 6.54 ha. The collection contains approx. 3800 plant taxa and species. The most prevalent plant families are aster (Asteraceae) and heather (Ericaceae). Plant collections are grown in the divisions of plant systematics and geography, dendrology, heather family, phenology, alpine plants, floriculture, spice and medicinal plants. The main goal of Šiauliai Botanical Garden is to preserve and increase the plant collection and organise educational activities. The garden constantly expands its seed collection by cooperating with more than 250 botanical gardens worldwide and participating in seed exchange programme. By grooming the garden and creating informational plant exhibitions Šiauliai Botanical Garden expanded its educational, recreational and academic activities. Since 2003 Šiauliai Botanical Garden has become a member of Botanic Gardens Conservation International, Planta Europa Network, Botanical Gardens of the Baltic Sea Region, Baltic States botanical gardens and the Association of Botanical Gardens of Lithuanian Universities. In 2005 Šiauliai garden joined the network of International Phenological Gardens of Europe (IPG). The garden has its friends club (Šiauliai University Botanical Garden Friends club). The scientific research carried out in the botanical garden is related to the introduction and acclimatisation of ornamental plants, plant biodiversity conservation ex-situ and in-situ as well as phenological observations. The garden also serves as a training and research base for Šiauliai university students. It is also a perfect place for children to play and explore the outdoors. The current director of Šiauliai University Botanical Garden is PhD Martynas Kazlauskas. The most convenient way to reach the garden is by car or via bus tour. Free parking is located near the entrance! By public transport: from a new viaduct (“Dubijos” bus stop, bus number 13, 22 and 24) you can also arrive on foot in about 10–15 minutes. Dubrava Arboretum is a dendrological collection in which native and introduced woody plants, valued as objects of research, studies and landscaping, are collected, conserved and exhibited. Dubrava Arboretum was established in 1958 as a department of Dubrava Forest Investigation Station (now Dubrava Experimental – Training Forest Enterprise). In the period of 1996-2004 Dubrava Arboretum was administered by Lithuanian Forest Tree Breading and Seed Farming Center. Since 2005 the Arboretum belongs to Dubrava Experimental – Training Forest Enterprise. In 2000 by the order of Minister of Environment the Arboretum was declared a dendrological collection protected by state. Not only specimens of typical native and introduced species and registered cultivars are cultivated in the Arboretum, but examples of morphological forms of our native trees and different spontaneous varieties of native and introduced woody plants are collected too. The Arboretum covers an area of 49.8 hectares in Kaunas district, near Vaišvydava village, between roads from Kaunas to Prienai and to Girionys. Together with botanical gardens it is one of the most important centers of research of woody plants. More than 1000 species and taxa of lower rank of woody plants, approximately 390 angiosperms and 650 gymnosperms, are collected in the Arboretum, together with some unique, very rare or nowhere else in Lithuania grown introduced plants as well as trees and shrubs of local selection among them. The Arboretum is open to the public free of charge during daylight hours seven days a week all year around. Some sections of the Arboretum (the collection of Pinophyta and Ericaceae, the introduction-quarantine nursery, the exposition of rare trees and shrubs) are visited by appointment only. To schedule group tours, to get information, as well as for plant studies, collecting of seeds, propagating material or herbarium specimens please contact our staff. The Conservatory of Vytautas Magnus University Education Academy (former Lithuanian University of Educational Sciences), was founded in 1999. The first idea of establishing it was to provide background for an educational campus where future teachers of Biology, Natural Sciences, Geography could deepen their knowledge and develop skills. The area of the premises and climatic conditions limit the number of plants and diversity of species in the conservatory. Due to its technical capacity the temperature in winter reaches 14-16°, that is why there thrive tropic and subtropic plants. The conservatory, established in the very centre of the city, is open to everybody who loves plants. It exhibits over 900 species and smaller taxonomic units of plants. The visitors can get acquainted with the plants from America, Australia, Asia, Africa, the warm regions of Europe, observe the plant life forms not typical of the Lithuanian climate, such as epiphytes, lianas, succulents, numerous collections of palms, orchid cites, cacti, formations of Euphorbia, sycamores, philodendrons, collections of edible fruiting plants or the ones offering any other type of practical application. The Conservatory is the place where educational activities take place: there young people can train their perceptive powers, develop emotions, taste exotic fruits, smell the priciest spices. The Conservatory inspires the staff members of the University to organise the educational indoor plant exhibition “Plant Labyrinths”, participate in the international festival “Fastination of Plants Day” and other events developing one’s feeling of nature. The Conservatory is on the right side of the river Neris in the front of Parliament. Hortus Raginensis is the private botanic garden devoted to preserve the important plant area. The site is situated in the valley of small and slow river Daugyvene and in lowland, which is named Musos-Nemunelio lyguma. The aim of Hortus Raginensis is to protect wild nature, significant habitats and species. The owner and Director of the Garden is prof. Vida Motiekaitytė. In the area of Hortus Raginensis are flooded meadows habitats Hydrophilous tall herb fringe communities of plains (6430) and Northern boreal alliuvial meadows (6450). The habitat of 6120 Xeric sand calcareous grassland and 6210 Semi-natural dry grassland and scrubland facies on cacareous substrates (Festuco-Brometalia) is spread on environment of Raginenai archeological site.